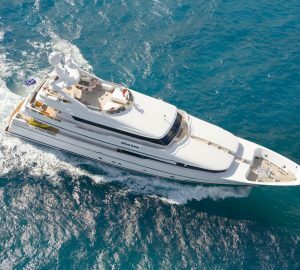 View a list charter yachts able to charter in Trinidad and Tobago and the Windward Islands of the Caribbean here. 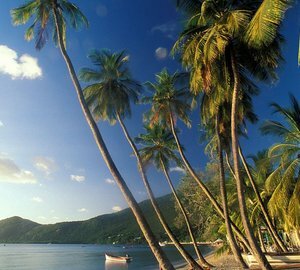 The Republic of Trinidad & Tobago is a fantastic yacht charter destination, located in the Southern Caribbean. 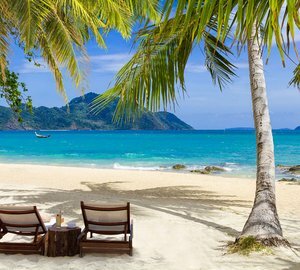 Trinidad and Tobago is an archipelago state, lying just off the coast of north-eastern Venezuela and south of Grenada in the Windward Islands (Lesser Antilles). Trinidad & Tobago shares maritime boundaries with other yacht charter destinations including Barbados to the northeast, Guyana to the southeast, and Venezuela to the south and west. Trinidad is the larger and more populous of the two main islands, comprising about 94% of the total area and 96% of the total population of the country. Trinidad & Tobago is a thriving multicultural society with a growing economy based on offshore oil wells. English is the official language in the Republic of Trinidad and Tobago, although visiting yacht charterers will hear Creole English spoken more often. Trinidad is the birthplace of calypso music, and is known as the ’Rainbow Island’ that is at its most colourful in the early months of the year when Carnival life is in full swing. Trinidad & Tobago is also known for its bird life especially the iconic Scarlet Ibis, the leather-back turtles and beautiful coral reefs. Trinidad & Tobago is a perfect yacht charter destination to explore onboard a luxury yacht. As well as having lively carnivals and friendly locals, there is an abundance of palm-fringed, untouched and secluded beaches, breath-taking scenery, and a wide range of activities and watersports such as scuba diving and kayaking or sailing. 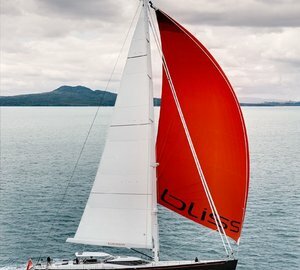 Yacht charters in Trinidad and Tobago provides you with the opportunity to visit two islands offering two unique experiences. Trinidad carnivals are a stunning spectacle offering an explosion of colour, music, revelry, and creativity. With its massive masquerade bands, spectacular costumes, pulsating music and unparalleled stamina for partying, Trinidad's Carnival is often described as the greatest show on earth. Tobago on the other hand is a premiere eco-tourism destination that has won several prestigious eco awards including the World Travel Awards "Best Eco Destination in the World" and the Caribbean Travel Awards Committee "#1 Eco-Destination in the Caribbean". The Port of Spain, the capital of Trinidad is a good starting place for a luxury yacht charter. Trinidad and Tobago has a fascinating culture and rich history. The names of the harbours and towns largely reflect the multi-cultural immigrations that have taken place in the course of a very chequered history. The islands changed hands between Spanish, British, French, Dutch and Courlander colonizers, was ceded to Britain in 1802 and obtained independence in 1962, becoming a republic in 1976. As a yacht charter destination Trinidad offers Culture, adventure, biodiversity, (with more than 450 bird species, 108 types of mammals, 55 reptiles, 25 amphibians and 620 types of butterflies),Bird Watching (with some of the most diverse and spectacular bird life in the Caribbean), Fishing (with an abundance of game fish), Shopping, Restaurant and Bar Hopping. Leaving the capital and heading for Tobago is a rich yachting experience with stunning views of the coast of South America on one side and views of Trinidad’s highest mountain (El Cerro del Aripo) on the other. Tobago also offers a list of activities for yacht charterers including Bird watching (with over 200 bird species on just 116 square miles of land), Biodiversity (home to over 6000 species of plants and animals) spectacular diving (surrounded by rich and colourful reefs with 300 species of South Atlantic coral and more than 600 species of fish. The island is also internationally recognised for its drift dives and has the ‘Main Ridge Forest Reserve’ - the oldest protected rain forest in the Western Hemisphere. There is also two championship 18 hole golf courses, and while on your yacht charter don’t miss the opportunity to involved in goat and crab racing. The village of Buccoo, Tobago, can be described as the goat and crab racing capital of the world. The rich and colourful water reefs around Tobago are make it one of the Caribbean’s finest diving locations sure to impress any seasoned diver. Manta Reef is the place to see giant rays as well encounter dolphins and turtles during the months from March to July. Trinidad and Tobago are located outside the hurricane belt and have a tropical climate with six months of the year in the dry season and six months in the wet season. The types of yachts able to charter in Trinidad and Tobago are endless including superyachts, megayachts, sailing yachts motor yachts and catamarans. 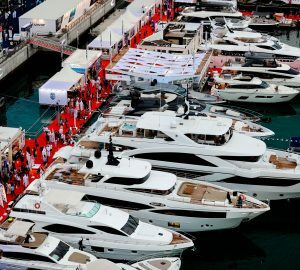 There is not a huge fleet of superyachts based in Trinidad and Tobago however it is possible for yacht to travel there from other areas of the Caribbean. 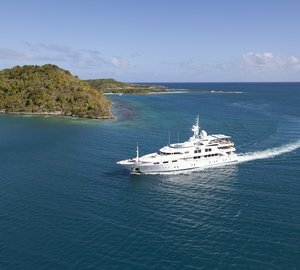 View charter yachts based in the Windward Islands, Caribbean below.